Having just finished a lively conversation over beers and pizza with friends in Alexanderplatz, I wondered what to do next. I had one more day in Berlin. I had no desire to participate in another lackluster tour to the Berlin Wall or Brandenburg Gate. I wanted to connect with this city on a more visceral level, to really get a feel for its pulse. The next morning, Adrian, our tour guide, met us in cool, damp conditions under the TV tower in Alexanderplatz. He greeted our group warmly, then proceeded to herd us onto the U-Bahn for the first leg of the tour. I was pleased that we were using public transportation and not squeezed into a double decker bus. On the train, we introduced ourselves to the other members of the group. 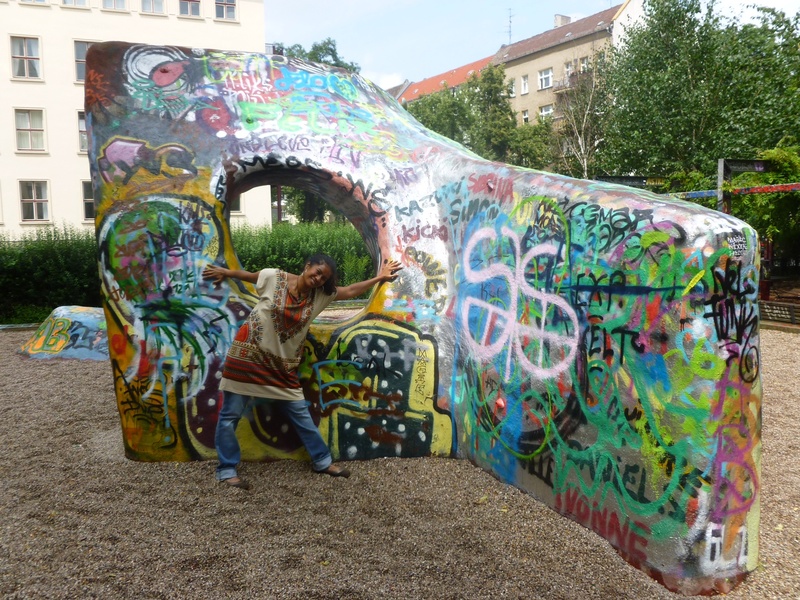 Then Adrian said, “In order to appreciate street art in Berlin, it is important to understand its complex history.” He explained that between 1970 and 1989, the west side of the city was covered with newspapers, graffiti, and paintings. 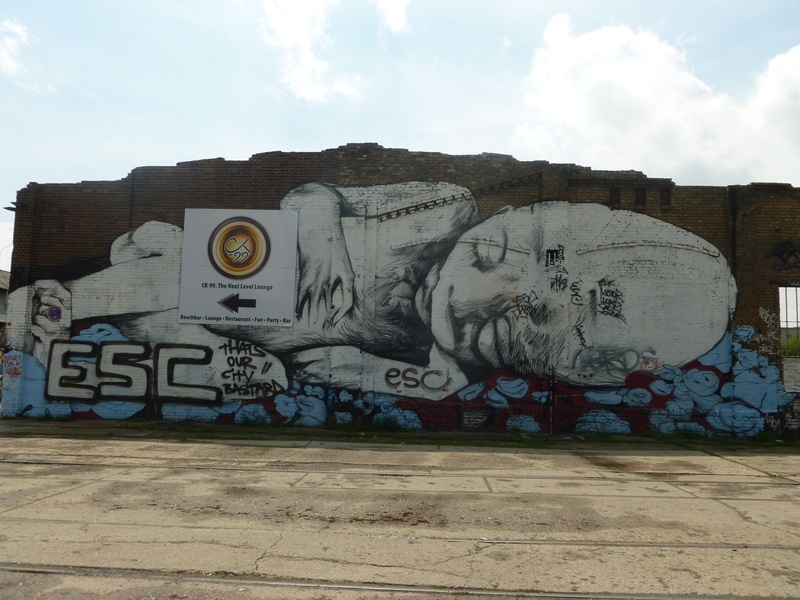 Since reunification, the dilapidated walls have attracted international artists, and the spirited art scene has surged even further. 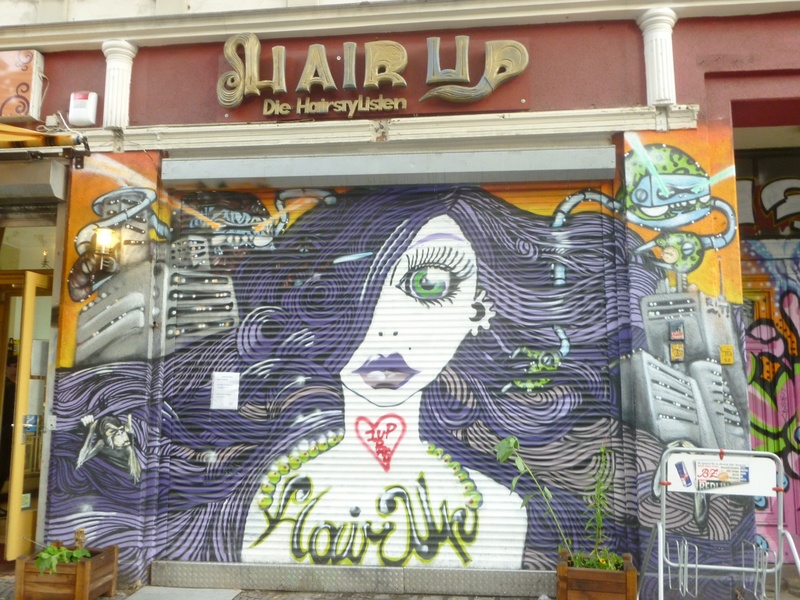 We covered a lot of ground that morning, spanning the neighborhoods of Friedrichshain, Mitte, Prenzlauer Berg, and finally Kreuzberg. Adrian didn’t just breeze by the graffiti; he had us stop and thoroughly examine the letters, colors, symbols, and texture. After several blocks, he asked us if we knew what the difference was between street art and graffiti. 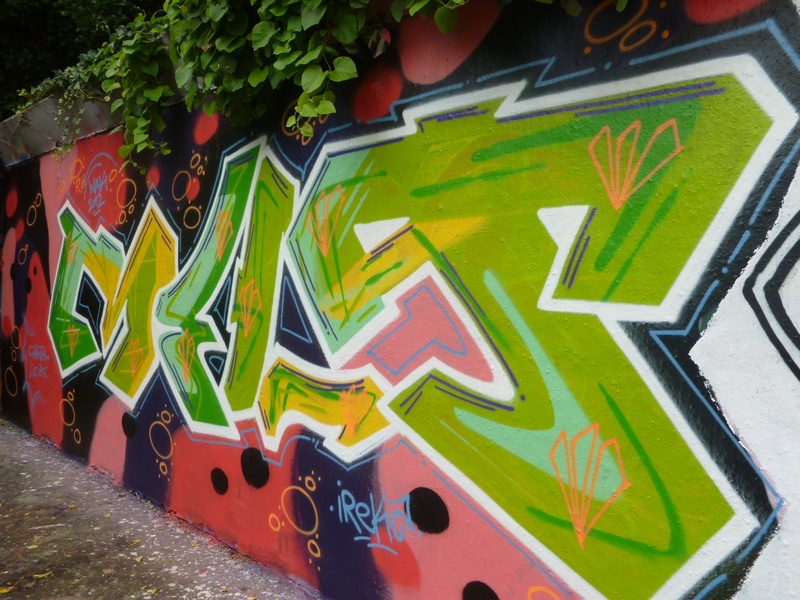 He explained, “Graffiti focuses on letters and tags. The message isn’t easily discernible and isn’t meant for a wide audience. 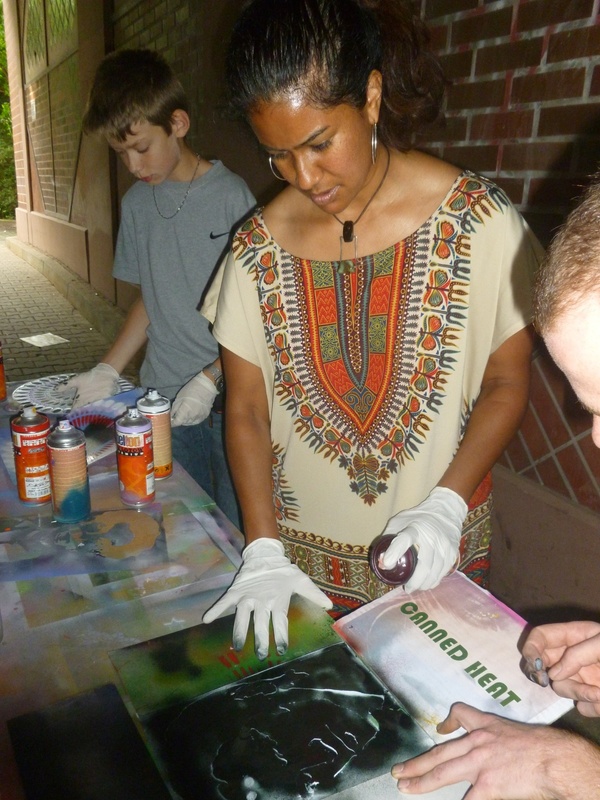 Street art involves stencils, paste-ups, sprays, etc. ; it strives for attention and there is a considerable effort to make sure that the message is heard.” I thought I knew a lot about this subject— I guess I didn’t! 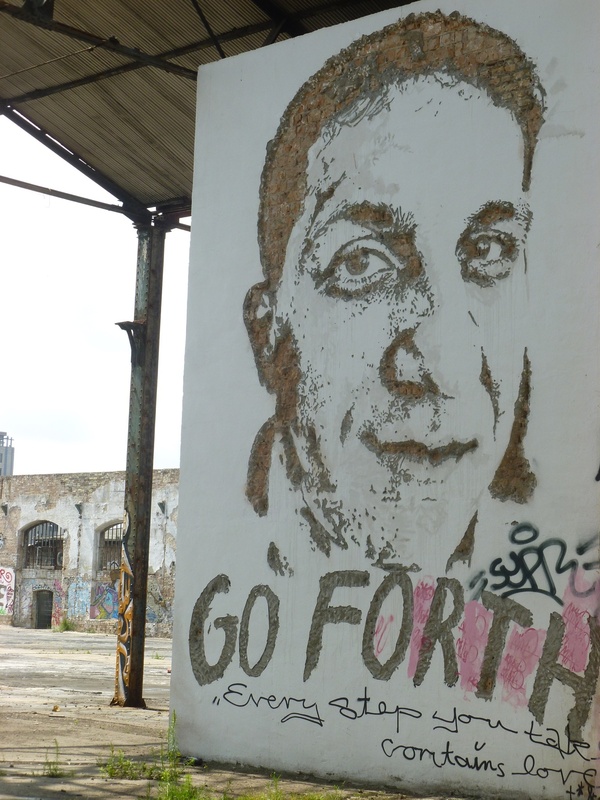 It soon became apparent that these urban virtuosos saw Berlin as a massive art playground. 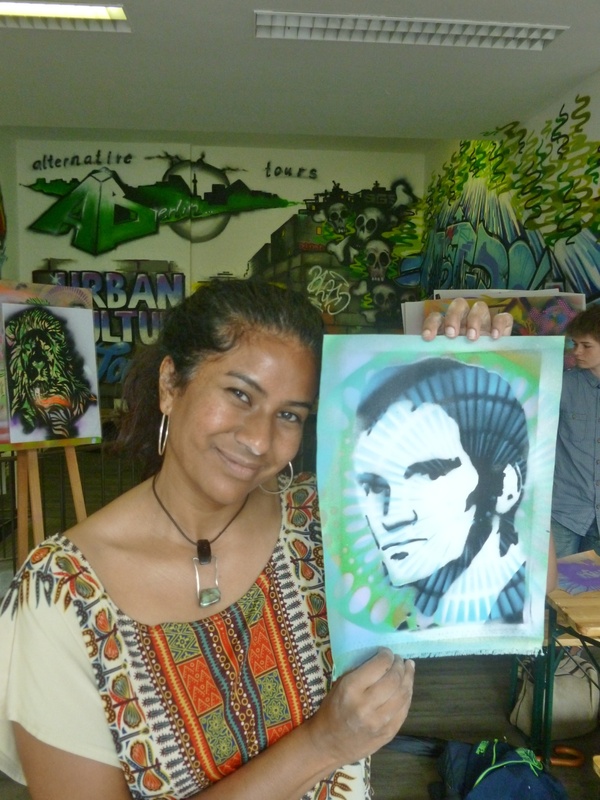 Stenciling paste-ups, spray-paint murals, and the palpable rage of graffiti covered huge swaths of the city; government buildings, corner cafes, condominiums and department stores couldn’t escape this massive tidal wave of ingenious expression. 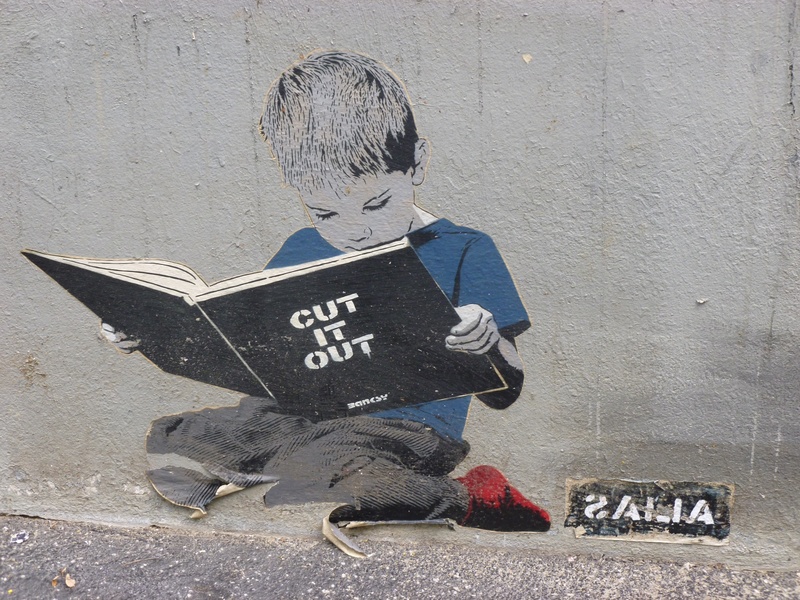 I loved the work of Italian street artist Blu. 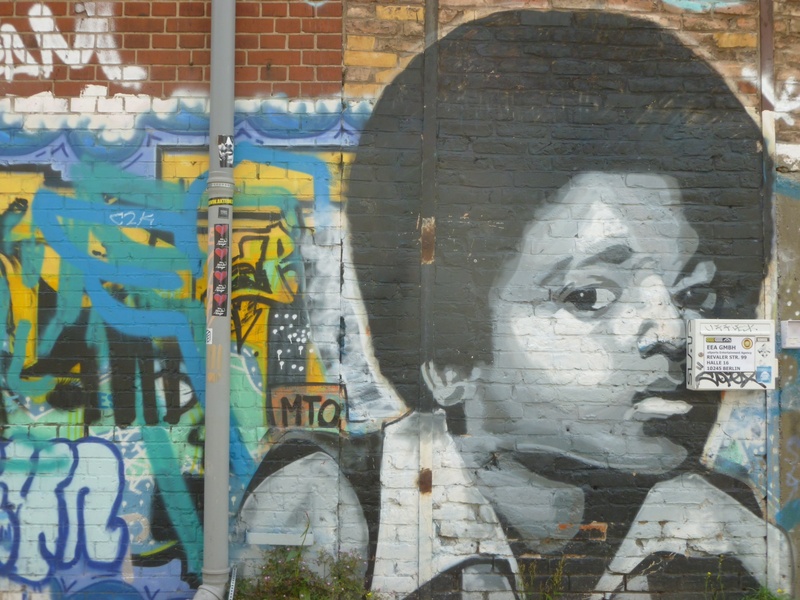 His epic murals seem to connect with neighborhood residents. The intuitive spray-painting and hip-hop influenced graffiti of the Brazilian twins Os Gemeos conveyed strong socio-political perspectives. French painter Miss Van hypnotized me with her sultry, independent feminine characters. 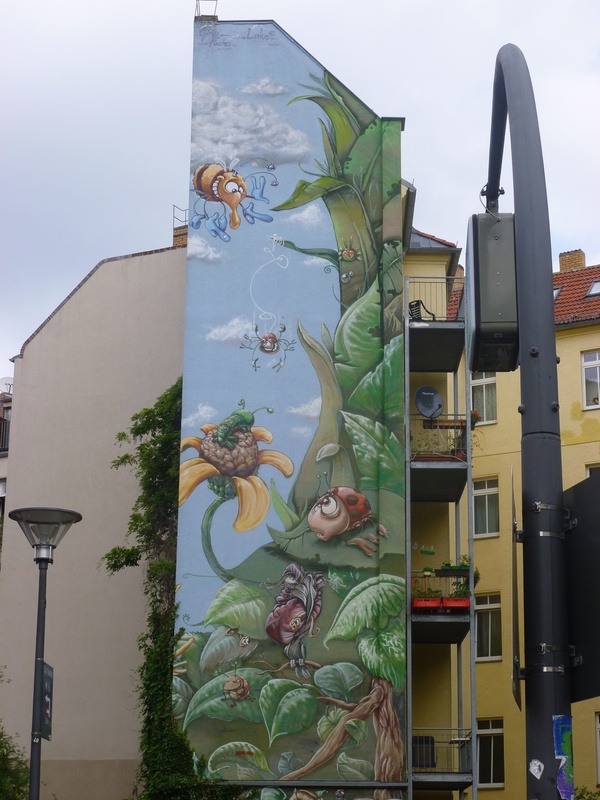 My favorite however, was Berlin’s own street artist Alias. Dealing exclusively with stencils, his work pops up in the most unexpected places. 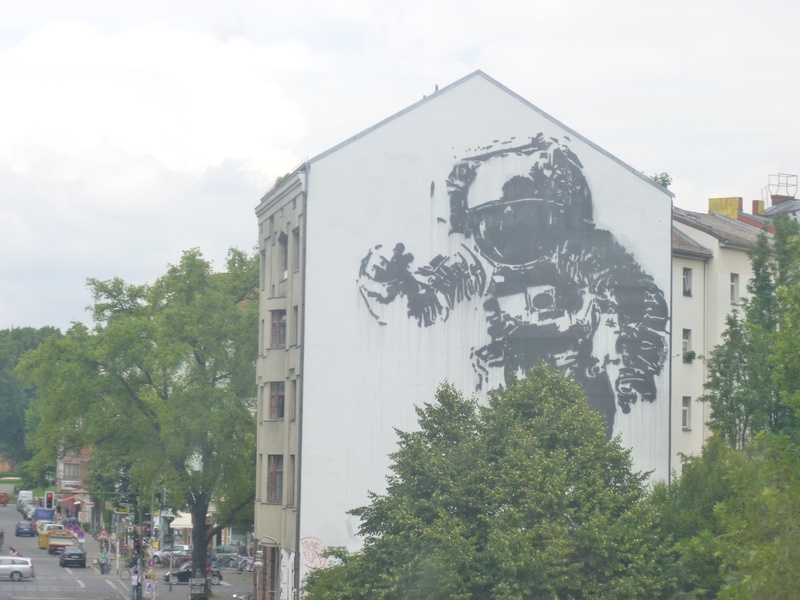 His human images displayed such powerful emotion; they stayed in my mind long after I left Berlin. 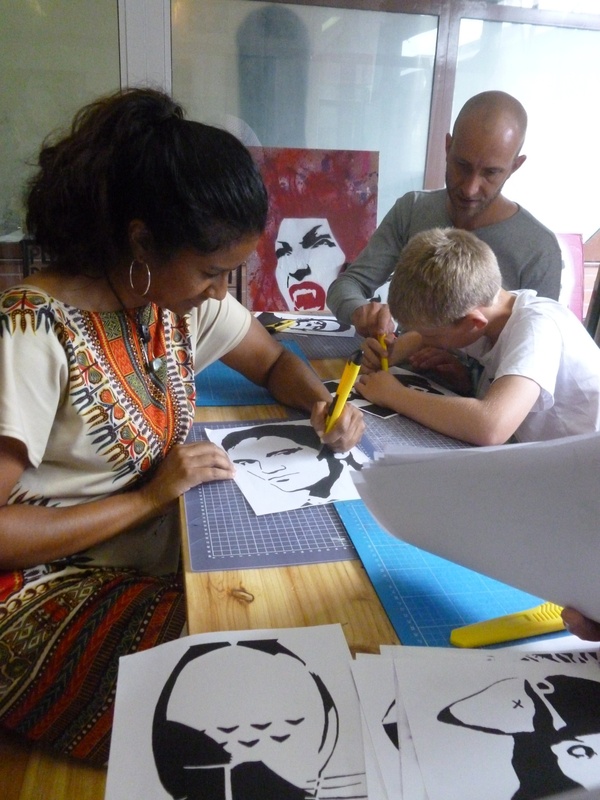 The tour ended at a small street art gallery where Adrian invited us to create our own stencil graffiti. For me, this was the cherry on top of some glorious whipped cream. After poring through what seemed like a mountain of stencils, I finally chose one. After we finished (I was shocked that I hadn’t destroyed mine), the gallery owners led us out to the back where we experimented with spray paint. I had the time of my life trying out different textures and patterns. It was an experience I’ll never forget— finally feeling like I was a part of this incredible city. This entry was tagged Alexanderplatz, Alias, Berlin, Blu, Brandenburg Gate, Brazil, Friedrichshain, Graffiti, Prenzlauer Berg, stencils, Street art, travel, Travelistas. Bookmark the permalink.